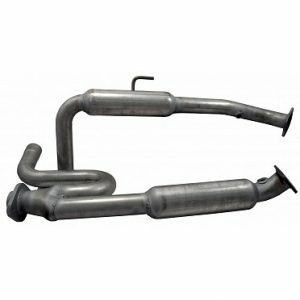 Doug Thorley Headers “Pipe Bomb” is a cat eliminating performance Y-Pipe for X-Runners and all other 05+ Tacomas. 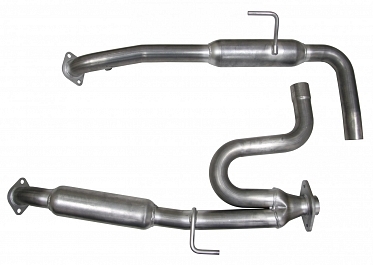 The “Pipe Bomb” has 2-1/4″ piping with flanges and O2 Bungs and dual 10 inch resonators on each side of the Y-pipe. 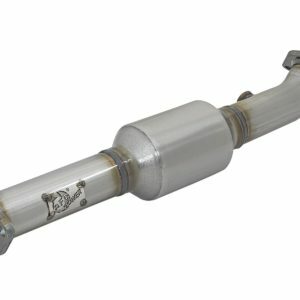 This insures maximum sound suppression without impeding exhaust flow. 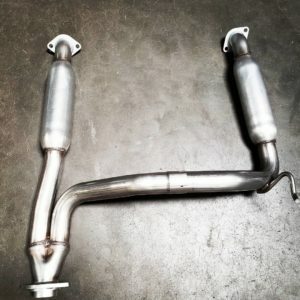 This will help those with Doug Thorley long tube headers to eliminate resonance & high pitched exhaust notes. 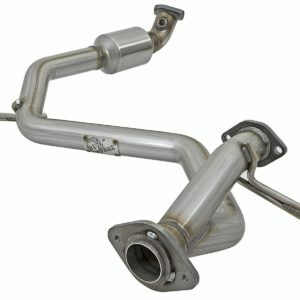 Paired with a mandrel bent cat-back, this system is perfect for X-Runners and all Tacomas with the 1GR-FE V6 engine. It fits in the stock hangers with no modifications. 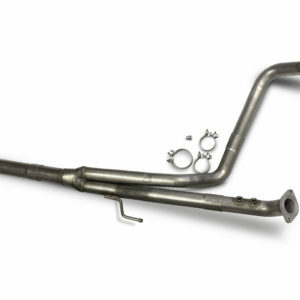 The stock crush to seal gaskets used in the connections between the Y pipe and the exhaust manifolds should not be reused. These gaskets should be replaced. You can select the “ADD GASKETS” box below to have two new crush to seal gaskets included in your order.